Congratulations to our friends at The Joshua Corporation in New Zealand. Their new website, www.chimpoholic.com is now online. The hub for all things creative it has over 10,000 searchable links to tutorials, tips tricks, news and reviews. 250+ photographic competitons, 500 + downloadable resources with more content added daily. Main sections cover photography, photoshop, video, design, audio, web & an estore. Sign Up Now for workshops in Portland, OR! As a resident of Northwest Portland, I am really excited to bring IPS into my own neighborhood. Our shoot locations will be the streets I walk each day. Our resident students will stay in the Guest House across the street from my favorite coffee shop. For our dinner breaks I will take you to my favorite restaurants. 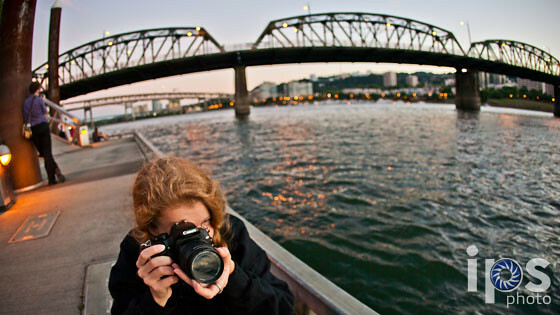 This is the best of Portland, and it’s a perfect match for IPS workshops! Food. Everyone will be on their own for food at local restaurants or grocery stores. Workshop Leaders. Rowan Gillson, Jocelyn Gillson. By clicking “Buy Now” you are agreeing to be bound by the fine print!